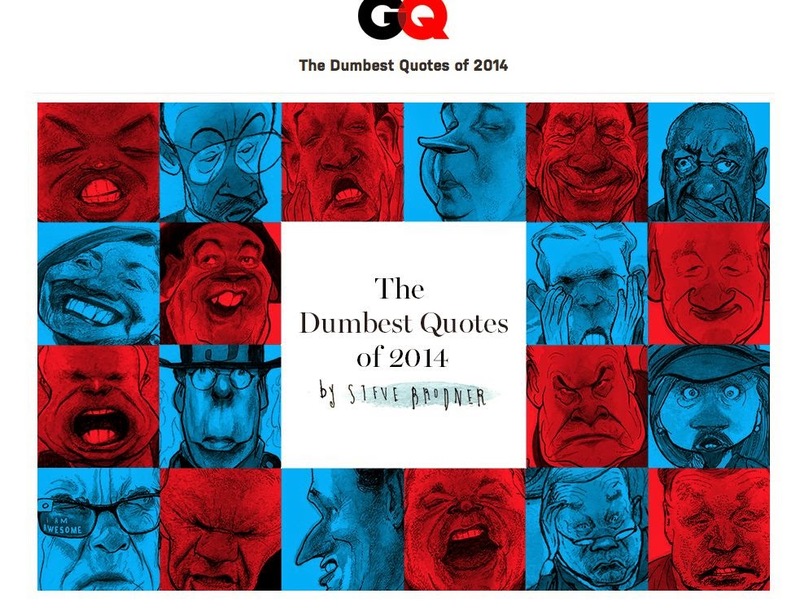 The year ends on a positive note as I made it (at #13) on Matt Wuerker's Gallery of the Year’s Best Cartoons. 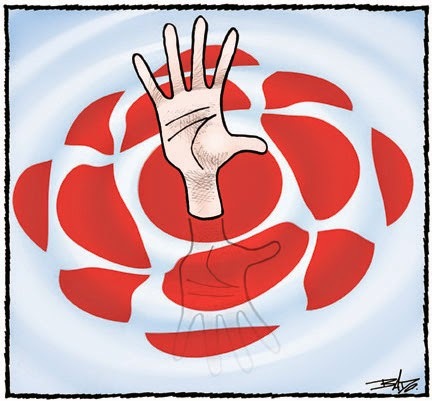 Aislin, MacKinnon and Mou on "As It Happens"
Carol Off interviews Bruce MacKinnon, Theo Moudakis & Terry Mosher on CBC Radio's As It Happens. 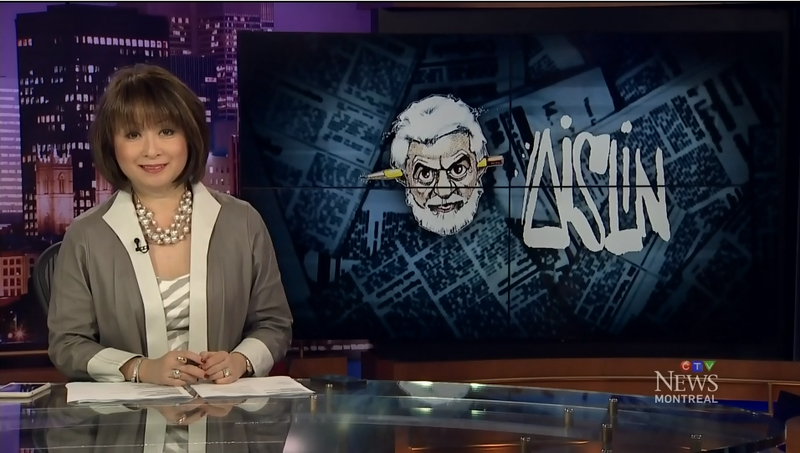 Terry Mosher speaks to Mutsami Takahashi on CTV. 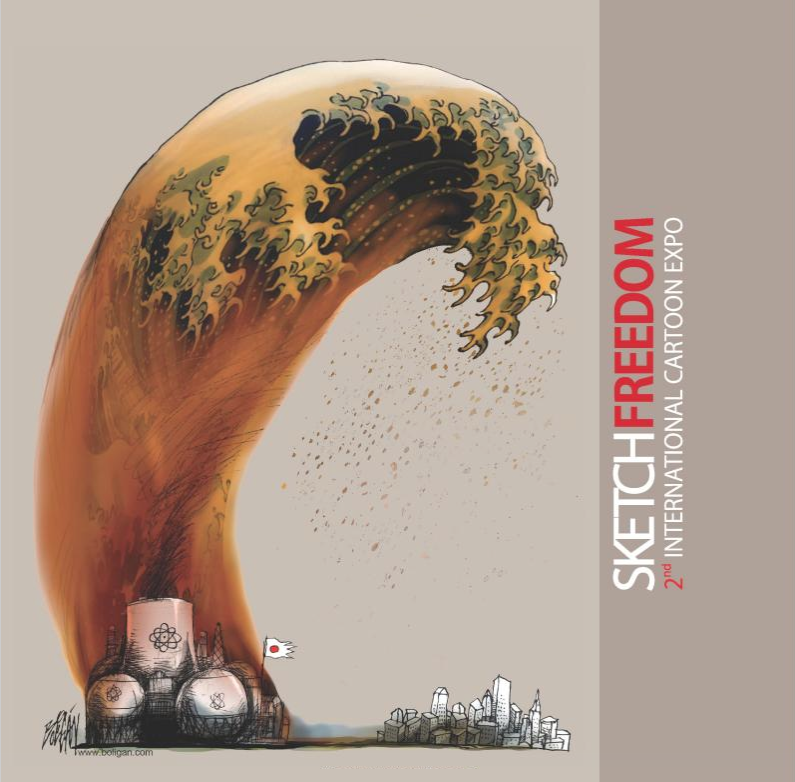 The Sketch Freedom‬ 2nd International Cartoon Expo's Catalogue has just been published. 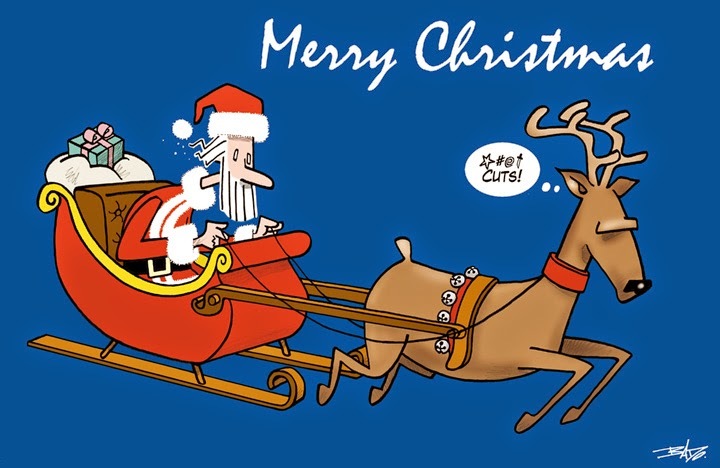 Adrian Raeside has posted an apology for an interpretation of one of his recent cartoons that ran in The Times Colonist. 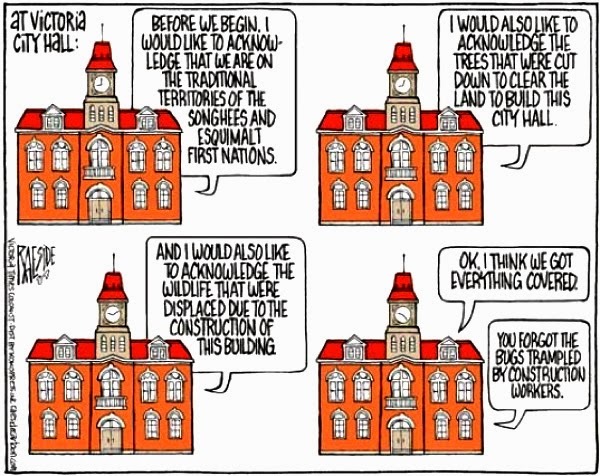 The First Nations leaders felt they were put down by being compared or associated with bugs. 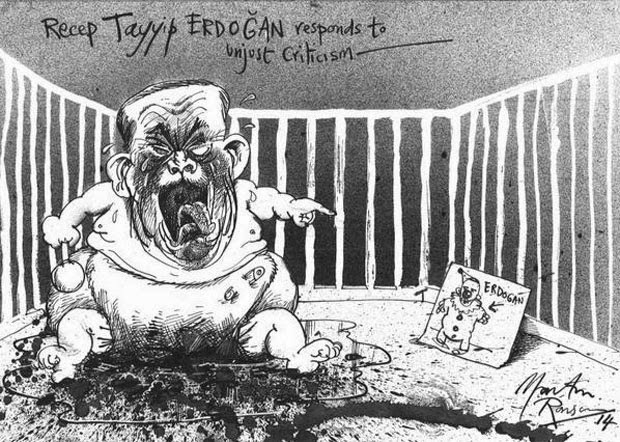 Stephff (Stephane Peray), the artist behind an ISIS-skewering cartoon published in the Jakarta Post that’s put the paper’s chief editor in the crosshairs of Indonesia’s blasphemy laws, has made his first statement concerning that controversy — by means of a cartoon. 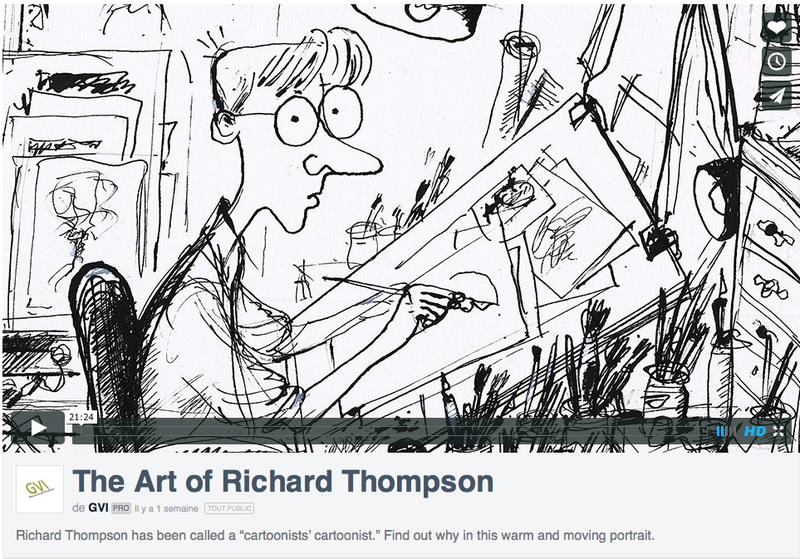 Alan Gardner reviews “The Art of Richard Thompson” in The Daily Cartoonist. 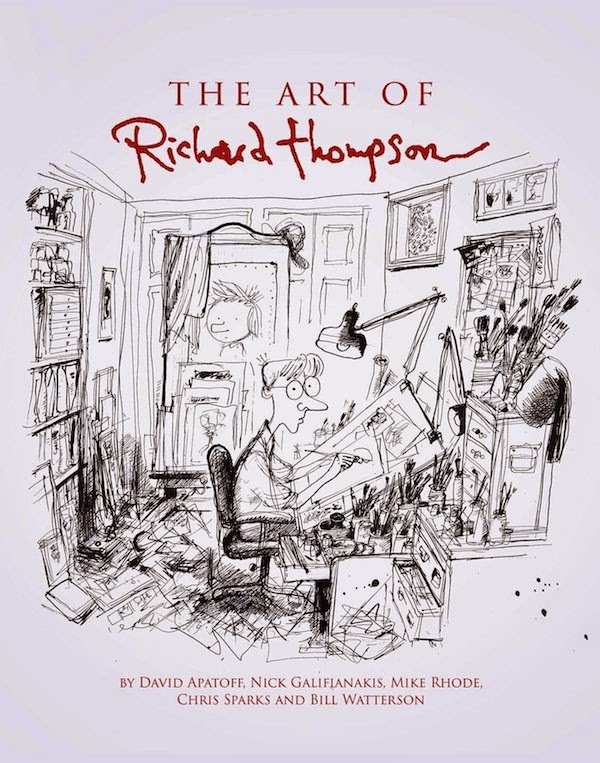 This Tuesday “The Art of Richard Thompson” will hit book shelves everywhere. 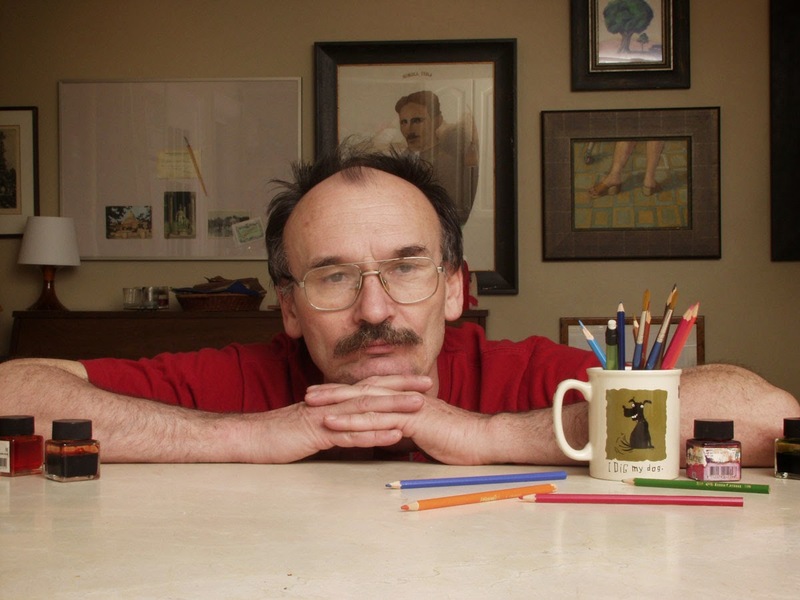 Within the span of 220 or so pages are hundreds of examples of his work along with interviews with Richard by notable individuals (Peter de Sève, Gene Weingarten and Bill Watterson ) who are well respected or masters of the craft themselves. 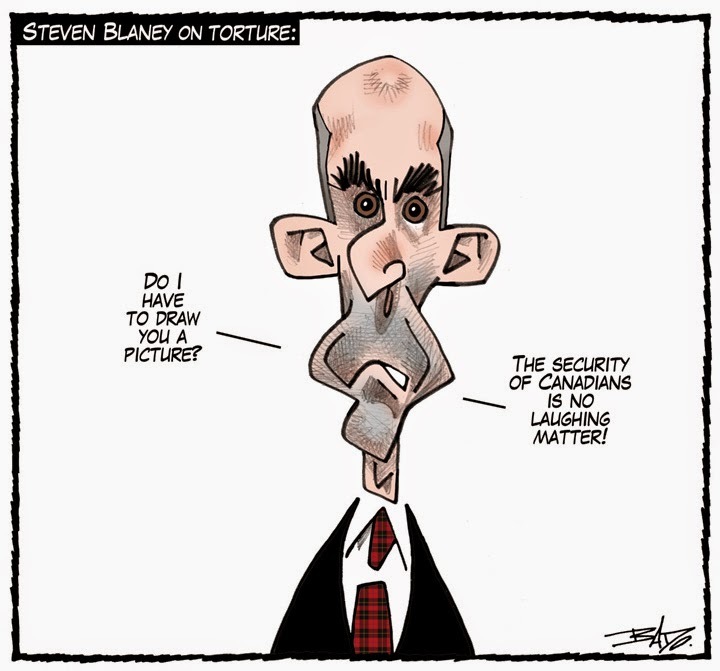 Last Saturday's cartoon in Le Droit is featured on the Yahoo Canada website. From the archives of The Comics Journal. 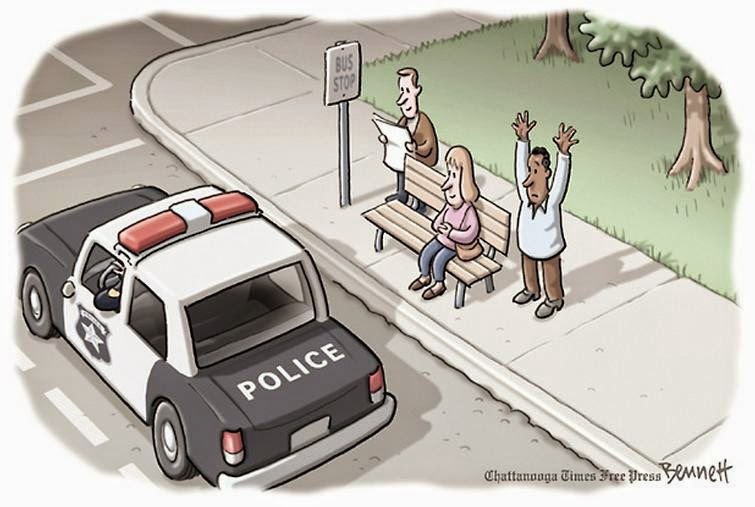 The National Press Foundation has named Chattanooga Times Free Press cartoonist Clay Bennett as the recipient of the 2014 Clifford K. & James T. Berryman Award for Editorial Cartoons. 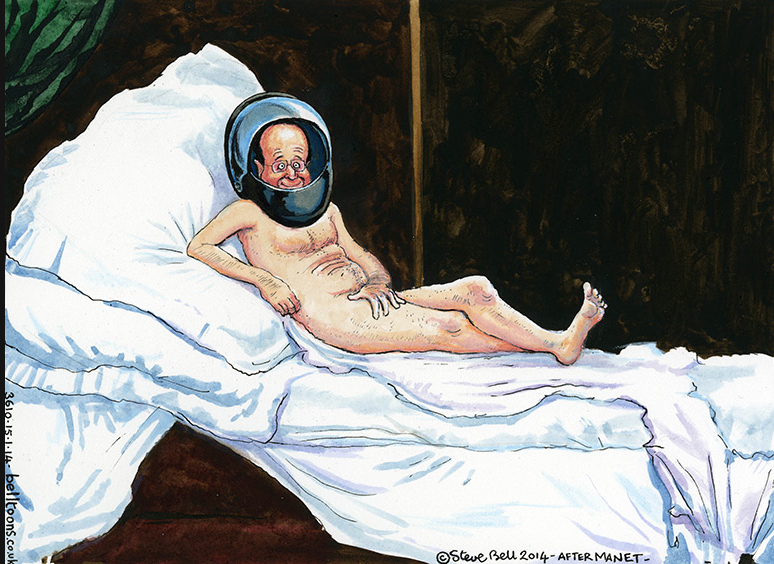 From the Ellwood Atfield Gallery. 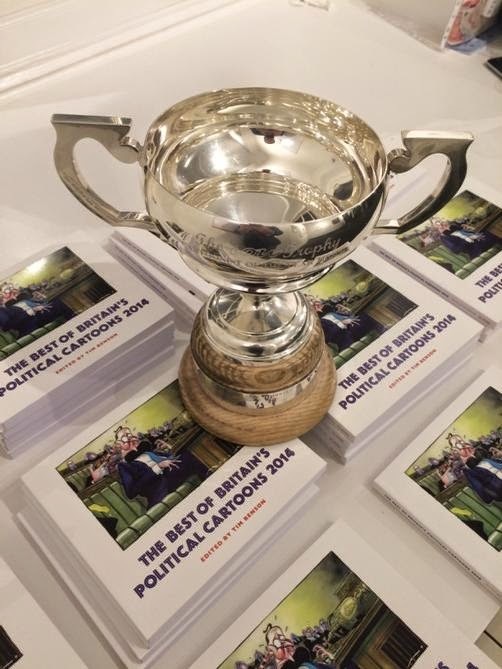 The UK’s leading cartoonists were eligible for two awards, the Political Cartoonist of the Year and the Political Cartoon of the Year. The results were announced by guest of honour Jeremy Paxman, at the award ceremony on December 2nd. 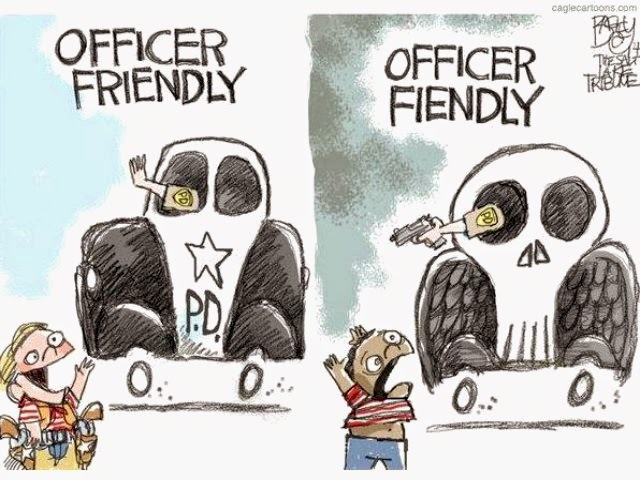 Lynchburg, VA - A political cartoon published on the News and Advance has started a firestorm online. 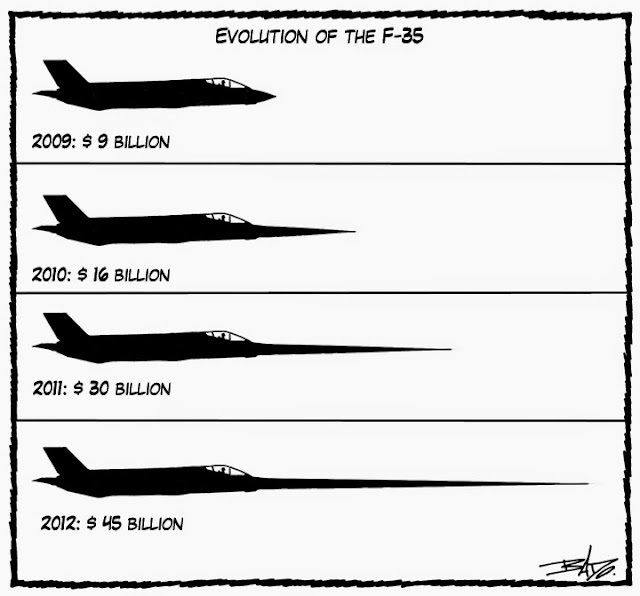 It's also posted on their editorial cartoon page and a lot of people are talking. 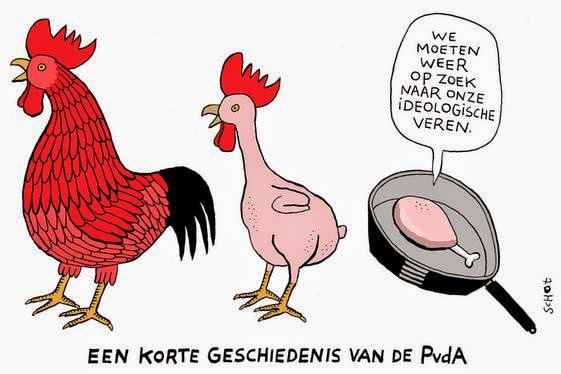 -We must regain our ideological plumage. 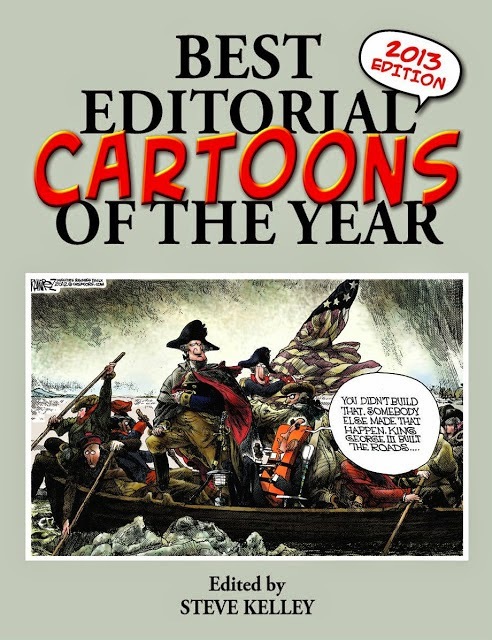 Volkskrant cartoonist Bas van der Schot won the Inkspotprijs for best political picture of the year with his cartoon "A Brief History of the Labour Party". 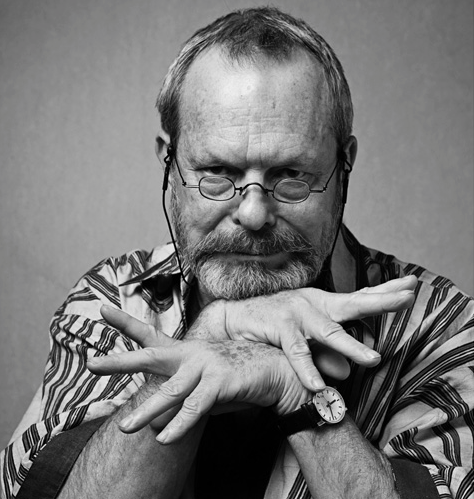 Montreal’s Drawn and Quarterly has officially announced its slate of books scheduled for the next six months. 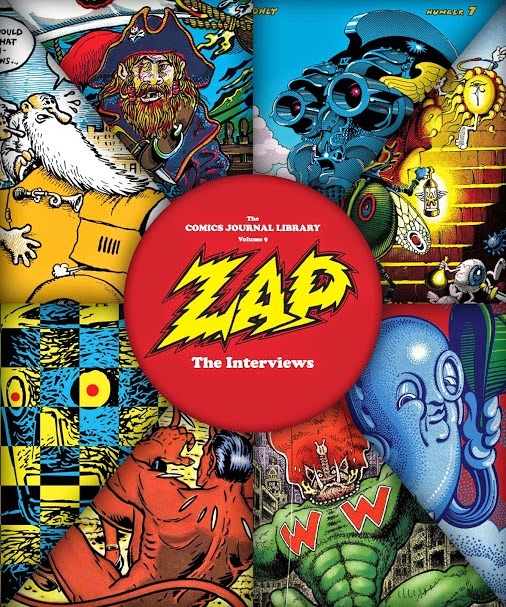 In addition to long-anticipated books by top-tier Canuck talent like Mark Bell (Stroppy), Jillian Tamaki (the collected Super Mutant Magic Academy), and a reprint of the groundbreaking Melody by Sylvie Rancourt, the company will be celebrating its twenty-fifth anniversary with a “700-plus-page collection detailing the company’s history and featuring new and rare work from D+Q cartoonists and essays from Margaret Atwood, Sheila Heti, Jonathan Lethem,” and others. 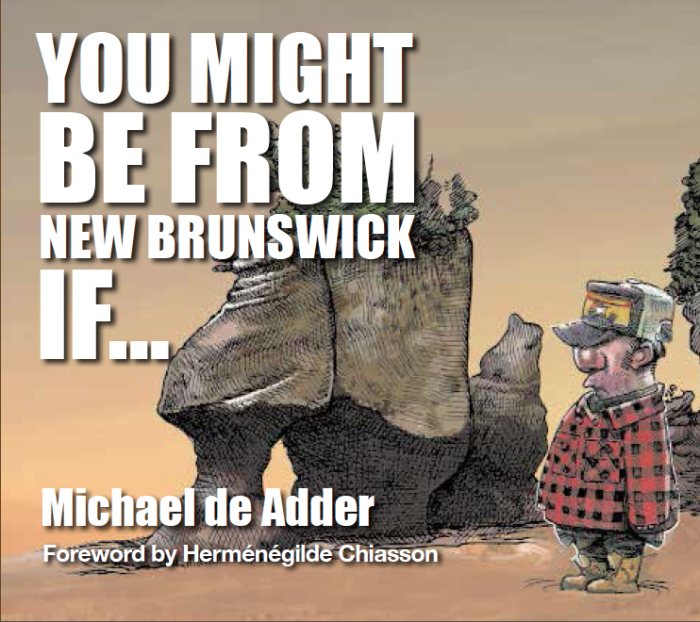 We can expect many of these by TCAF in May. From Pow Pow's page on Kickstarter. 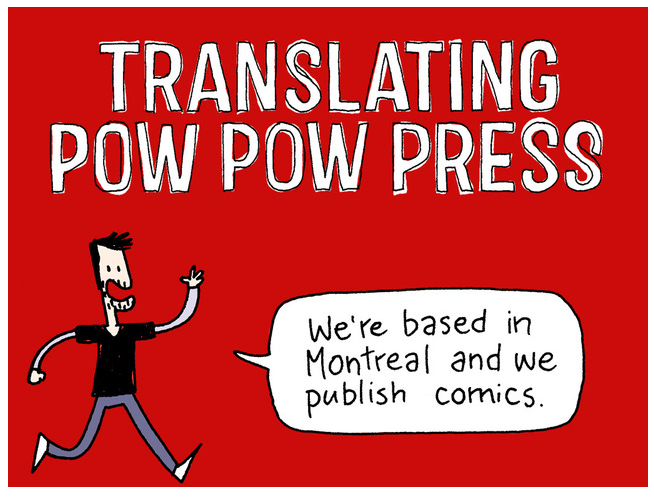 Pow Pow Press is a Montreal-based, French language publisher that specializes in comics. 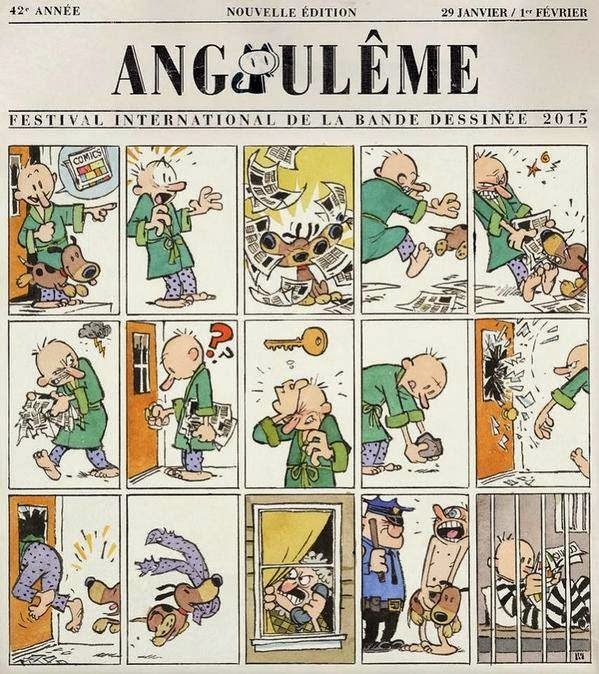 Since its creation in 2010, it has published over twenty graphic novels and has rapidly become one of the biggest independent comics publisher in Québec. 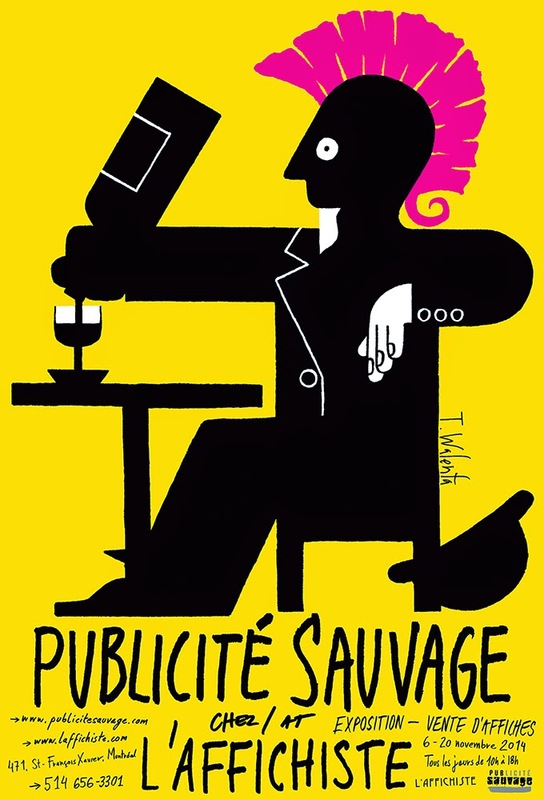 Pow Pow Press now hopes to translate some titles from its already extensive catalogue, but in order to do so, need your help. This crowd funding campaign has been set up in order to print their first three titles in English, after which they will translate their new releases, as well as some of their back catalogue. We are very happy to announce we've reached our $20,000 objective earlier today! Thanks everyone! We now have 48 hours to reach our stretch goal of $25,000 and translate a fourth book, Vampire Cousins by Cathon and Alexandre Fontaine Rousseau. I received the 2014 catalogue of the Cascais, Portugal World Press Cartoon competition. 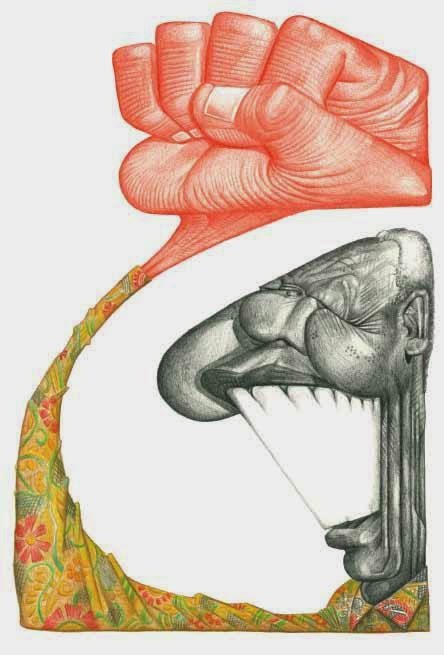 The jury this year included Antonio Antunes, creator of the contest and exhibition, Adriana Mosquera Soto [Nani] (Colombia), Rainer Ehrt (Germany), Ferruccio Giromini (Italy) and Jaume Capdevila, [Kap] (Spain). 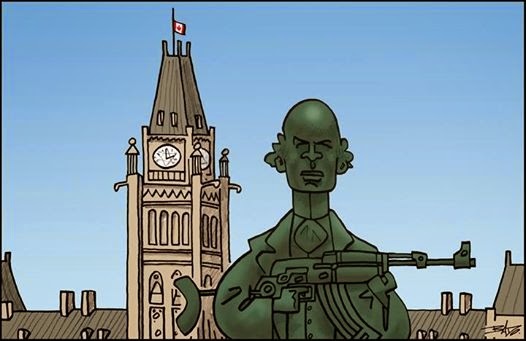 This drawing is featured today on the iPolitics website. 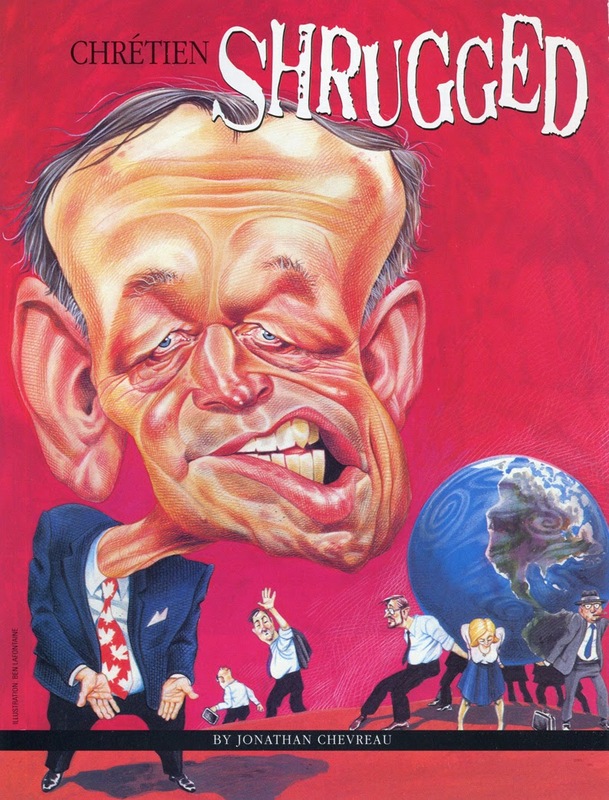 In this 1989 interview, Gary Groth picks Ralph Steadman’s brain on the topic of his growth as an artist, changing interests, loss of faith and times working with Hunter S. Thompson in a career-spanning conversation that always finds its way back to politics and all that’s wrong in the world. Milana Knezevic in X Index. 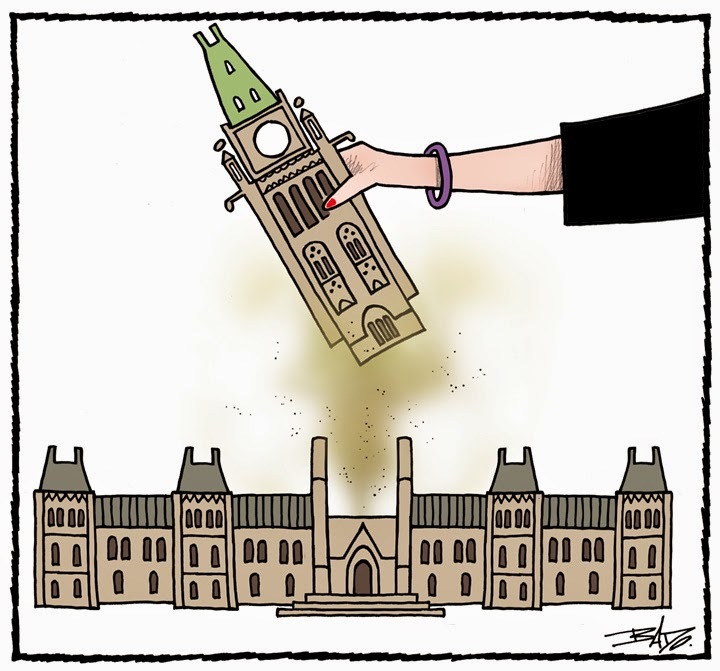 Thursday's Le Droit cartoon was featured in the iPolitics website. 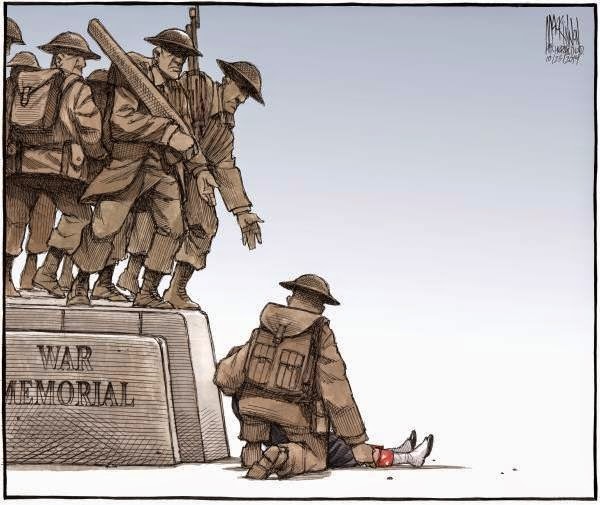 The Chronicle Herald's editorial cartoon after the shooting at the National War Memorial prompted an emotional response from around the world, the tender image garnering mentions in North American and European news sites, Twitter, and other forms of social media. 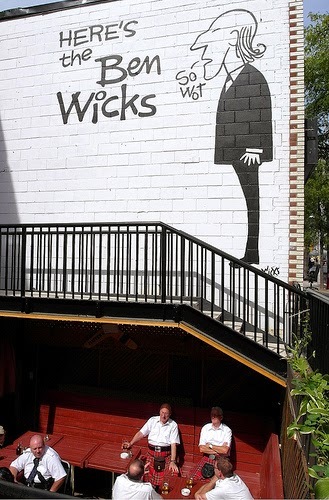 The Ben Wicks Pub has ceased operations. Founded in Toronto in 1980 by popular cartoonist Ben Wicks and decorated with large murals of his cartoons, the basement bar and restaurant is now The Local Gest. 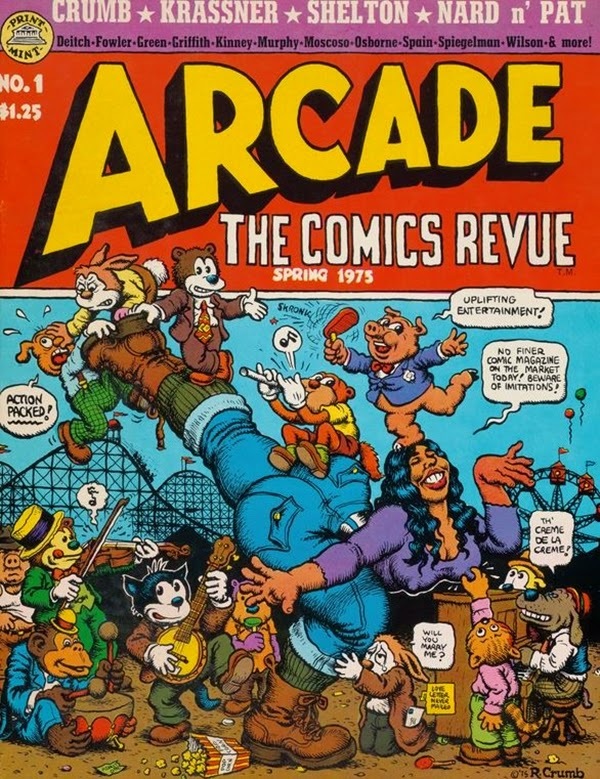 One of only a half-dozen Canadian cartoonist landmarks in the country, the bar’s comics connection was maintained by its use as an informal meeting place for the Doug Wright Awards organizing committee for many years. The pub last made news in 2013 when its owner and his manager where ordered by the Ontario Human Rights Tribunal to pay $18,000 for the manager’s sexually harassment of a bartender in 2008. 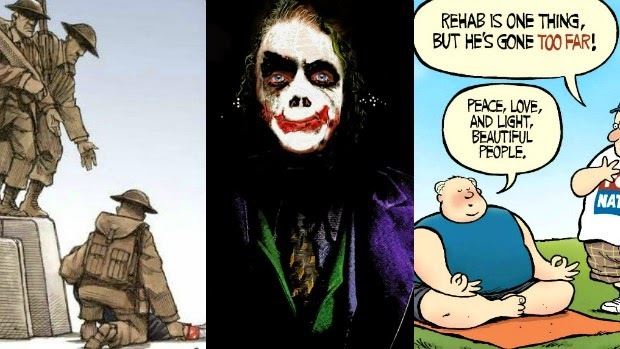 The nominees for the 2014 Governor General’s Literary Awards have been announced and several well-known comics and comic creators have made the cut in the children’s literature categories. 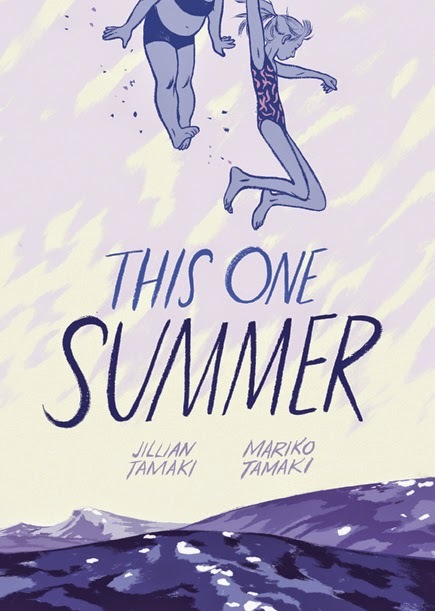 Jillian Tamaki and Julie Morstad are nominated in the English illustration category, Mariko Tamaki in the English writer category, and Pascal Blanchet and Marianne Dubuc in the French-language illustration category. The winners will be announced November 18 and the winners each receive $25,000 (the rest of finalists receive $1,000 each). 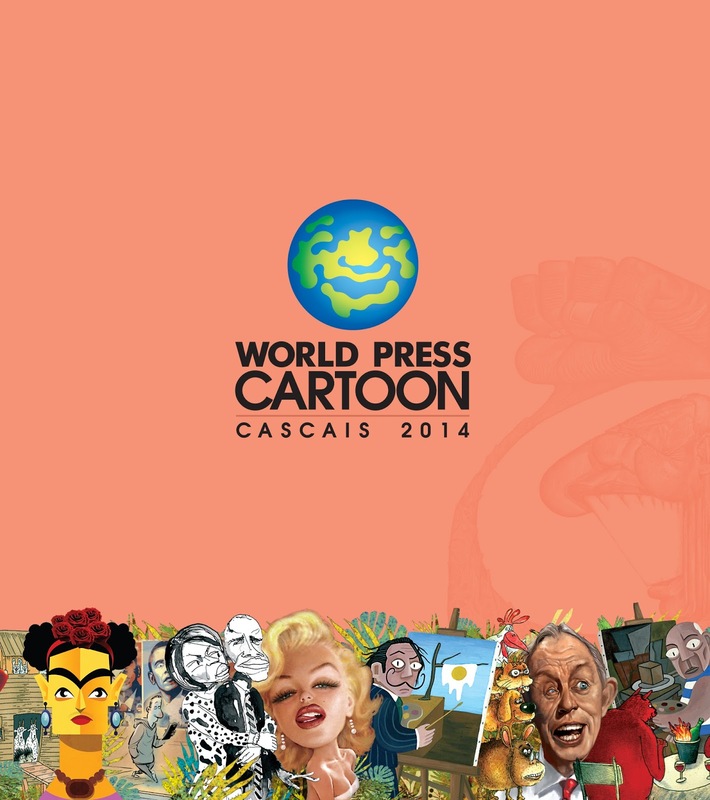 World Press Cartoon faces in 2014 the most dramatic challenge of its history. At the last minute, when the selection process was already on track, the Municipality of Sintra unilaterally decided to break the agreements established for the organization of the 2014 exhibition and awards ceremony. 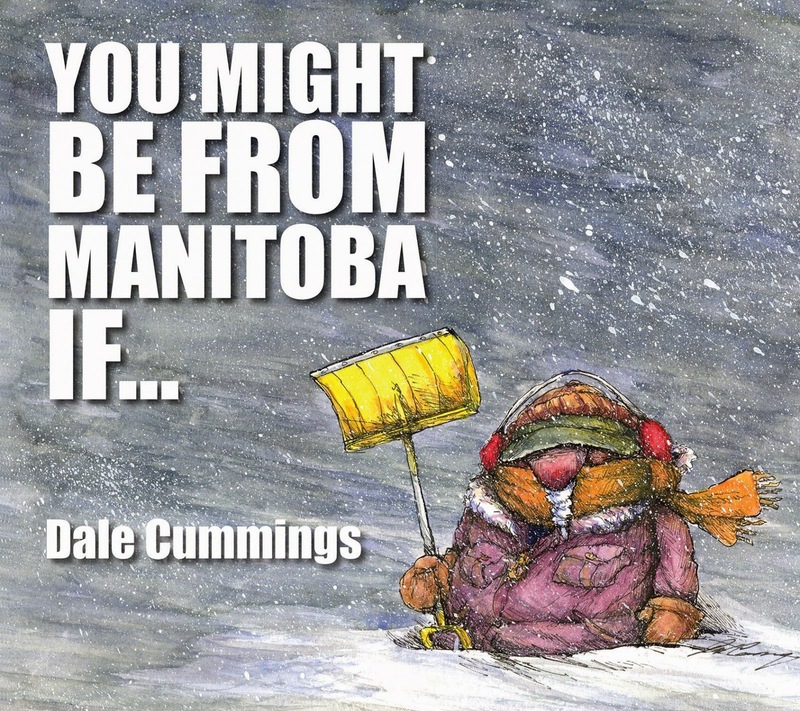 MacIntyrePurcell has just published "You Might Be From Manitoba If..." by longtime Winnipeg Free Press editorial cartoonist Dale Cummings. 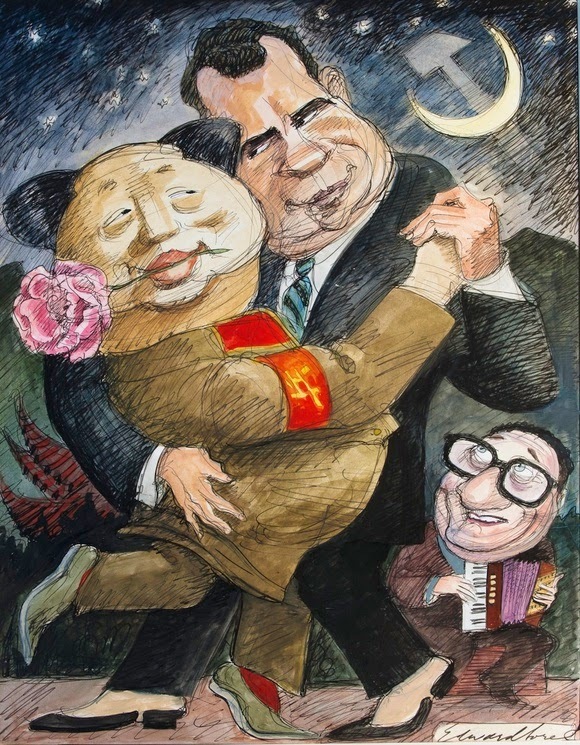 Ian Frazier in The New Yorker. 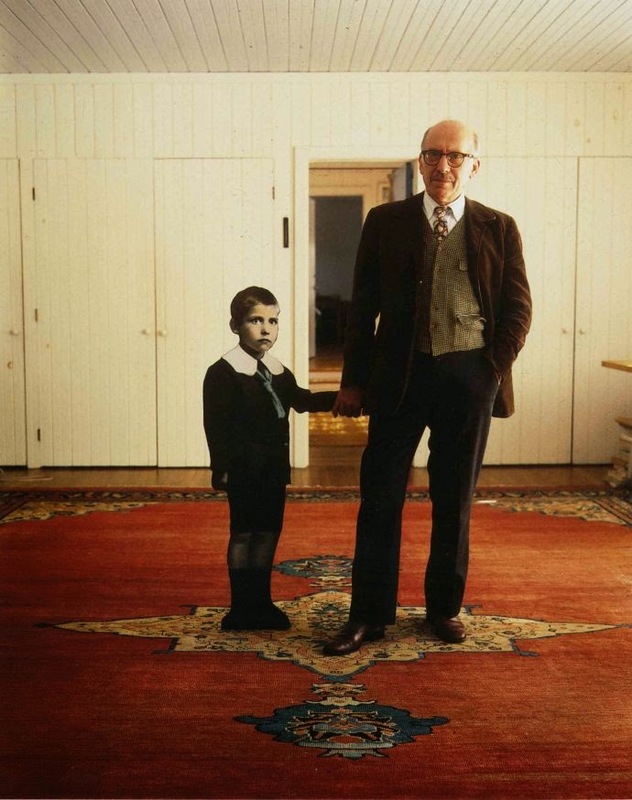 If Saul Steinberg were still alive, he would be a hundred years old. He was born in Romania in 1914, just before the start of the First World War. In 1942, escaping from Italy, where he had been an architecture student, he came to the United States. 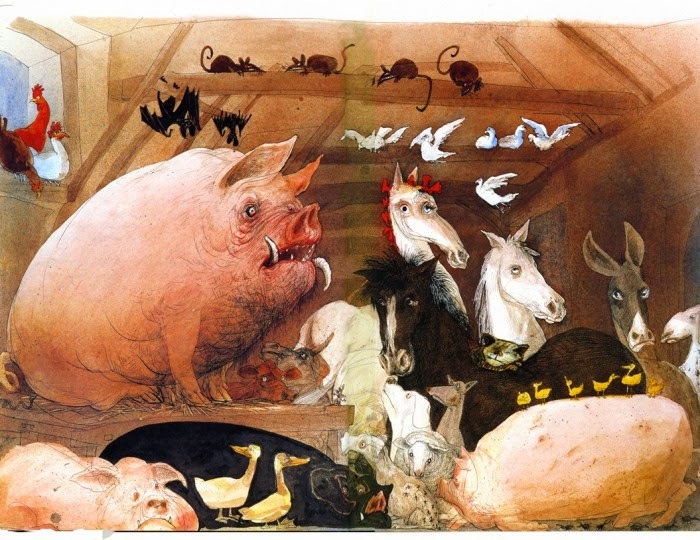 For the next six decades, his amazing work levitated this magazine; here was a major twentieth-century artist who also possessed an unmatched gift for the magazine page, especially The New Yorker’s. 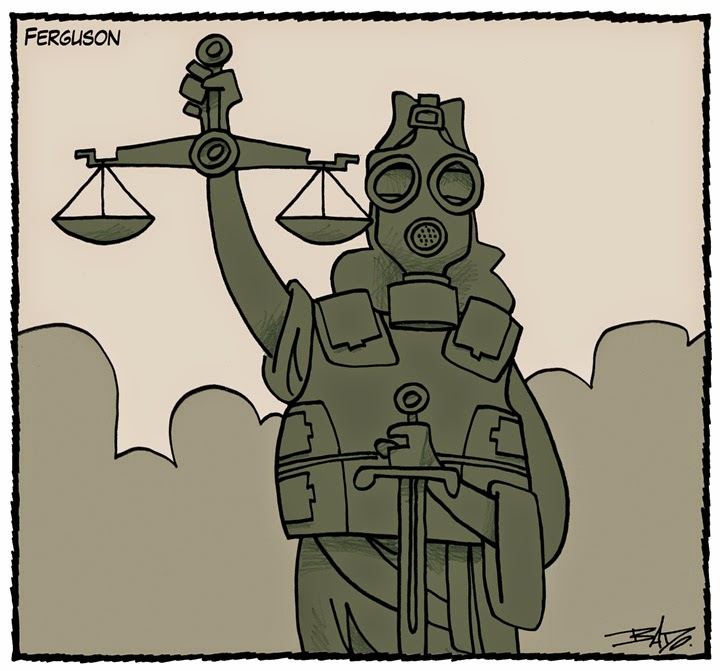 EVERYBODY'S RIGHT TO FAIR AND EQUAL EMPLOYMENT. 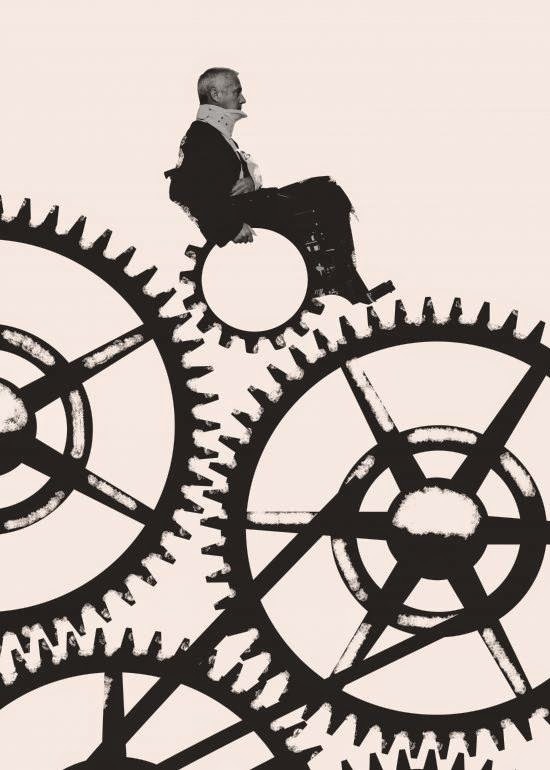 The right to work isn’t the right to employment. Nobody has the right to a job. But everybody has the right to work in a secure, safe, fair working environment. 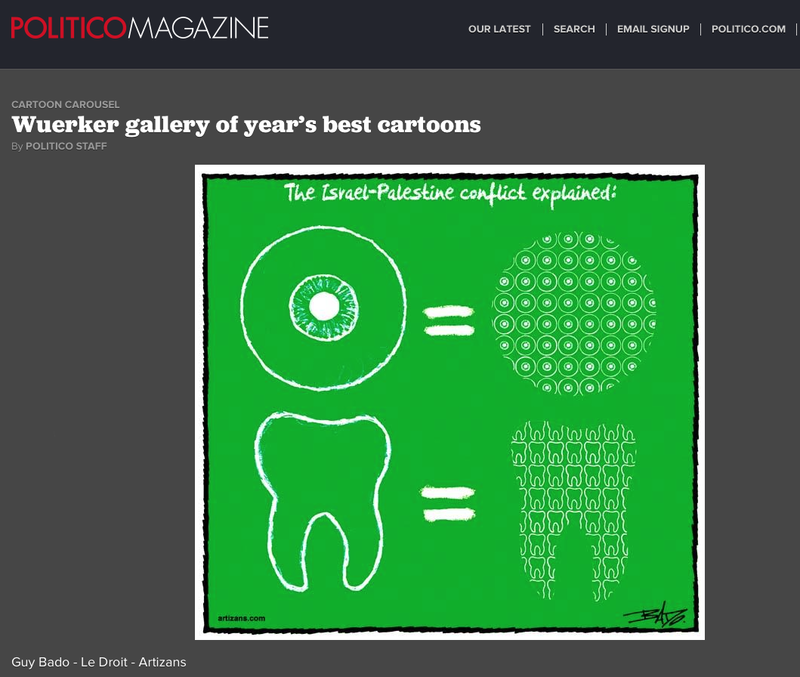 The complete article on The Cartoon Movement website. 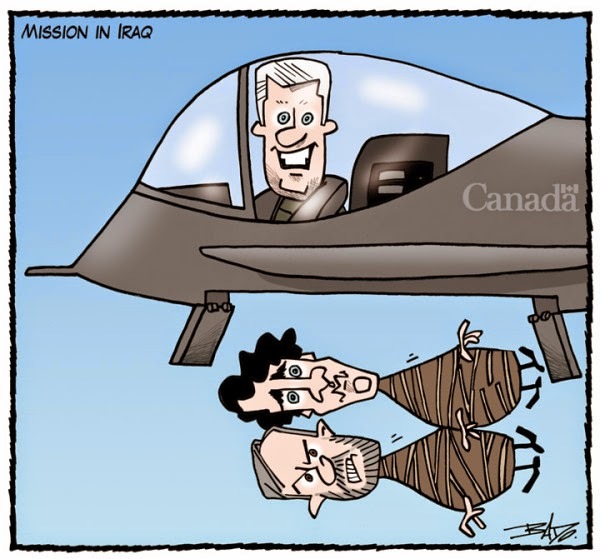 Last Saturday's Le Droit cartoon is featured on the Yahoo Canada website. 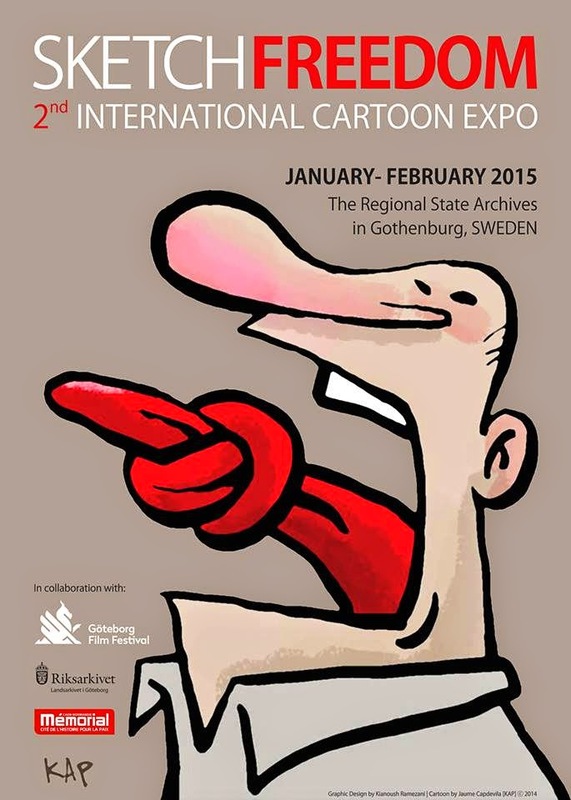 The "Sketch Freedom 2nd International Cartoon Expo" will be held in Gothenburg, Sweden, from January to February 2015. 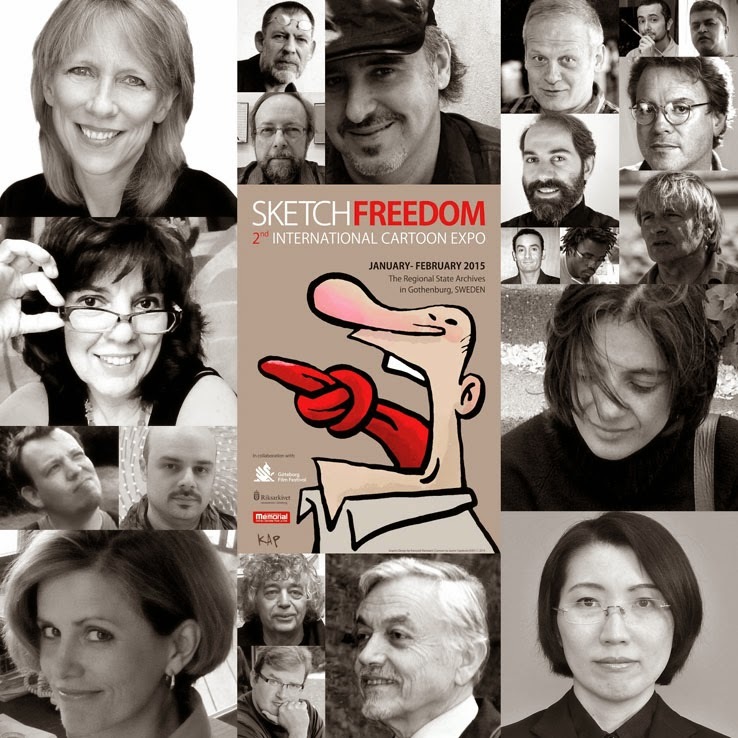 The exhibition will feature the work of Franck Moulin, Peter Broelman, Vladmir Kazanevsky, Nathalie Bödtker-Lund, Fifion Ribana, Angel Boligán, Liza Donnelly, Iiris-Lilja Kuosmanen, Riber Hansson, Karl-Magnus Johansson, Damien Glez, Jaume Capdevila, Victor Bogorad, Johan Asplund as weel as my own.